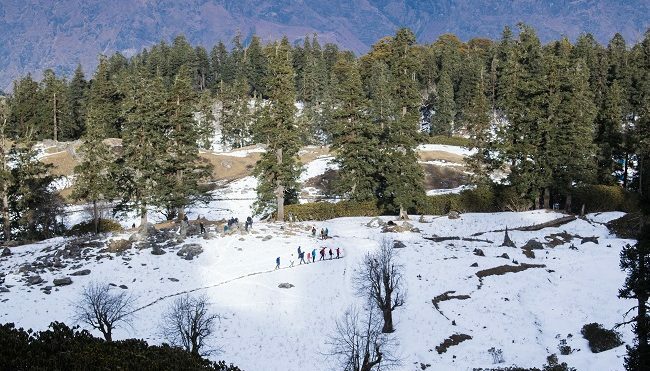 You don’t have to be a trekker for this. Need not have climbed great mountains. No prior experience required. Two weeks of jogging (2-4kms) everyday and regular exercise and you are ready. This is the minimum. 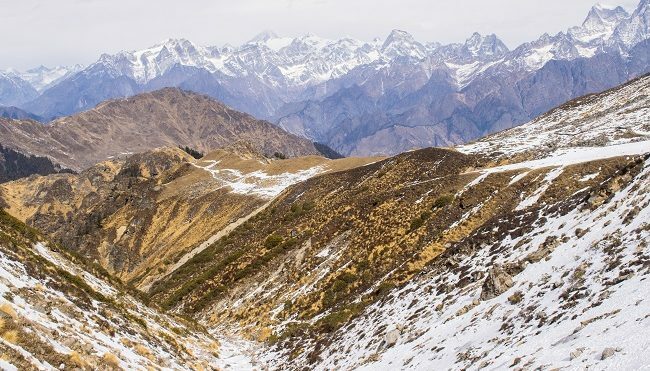 Kuari Pass is one of the easy treks covering about 30-35kms in a span of 4 days and is the perfect snow trek for a beginner. 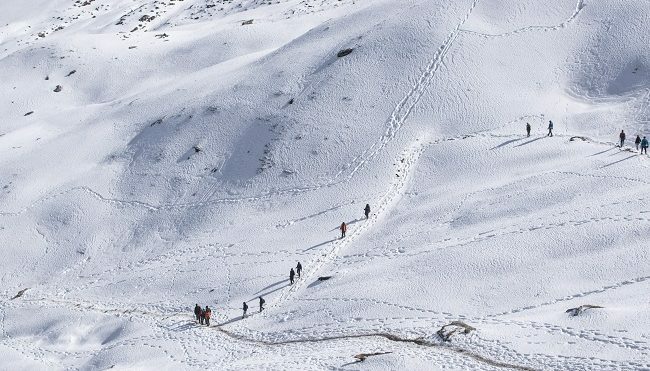 If you have always wanted to experience treading on snow, you will find yourself surrounded by it everywhere from the second day of the trek itself. I should also mention that the temperatures in winter may drip down to negative in double digits. But then, snow cannot be enjoyed at a pleasant 20 degrees. 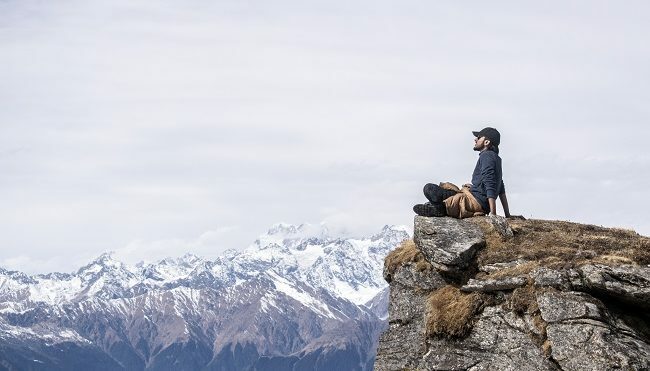 We climb for the views, the majestic and the peaceful. Take time to just sit and stare. Morning rays at our campsite. 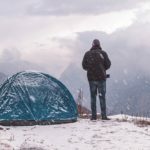 Nothing better than camping in the lap of the mountains. 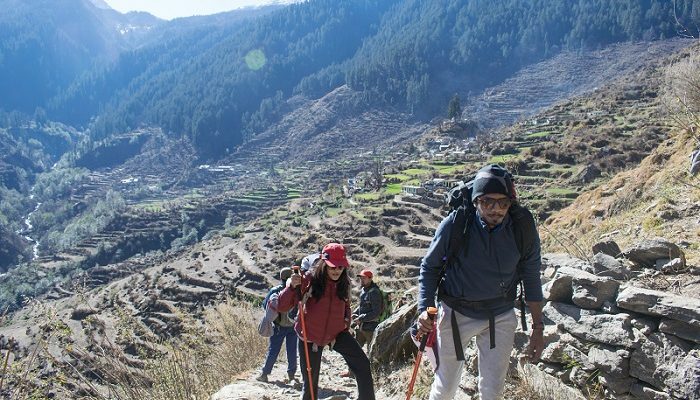 The first day of the trek starts from village Dhak(near Joshimath) and is a 6km ascent through villages. The views get better as you go higher and there was relief for us when we finally reached our campsite Gulling in about 3-4 hours. 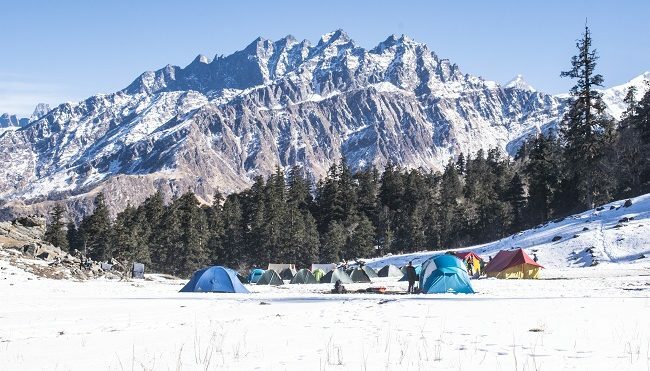 A stream flowed by colourful camps around and snow capped mountains showed up distinctly. 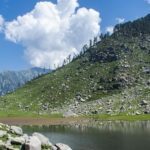 While the tents were being set up, we explored the area, had our lunch and took a nap until it was time to collect wood for the red flower which was pretty much all we did in the coming trek days. And not to forget hours at the campfire chit chatting, playing games and sipping black tea. It was a cold starry night; the same food tasted better than usual days though the same could not be said about the night. 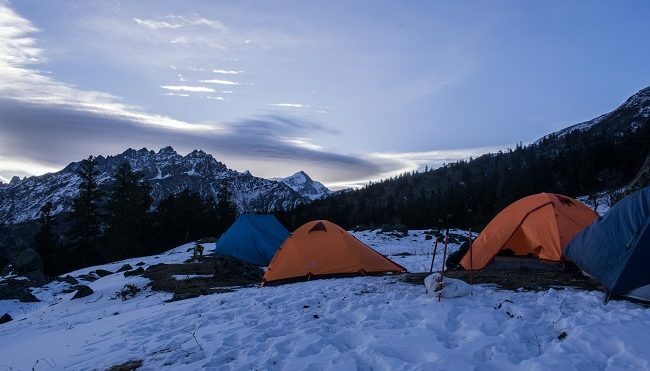 *Sleeping in tents at -7 degrees Celsius may not be the easiest of things. But you have got to experience it. Posing at the start of the second day. 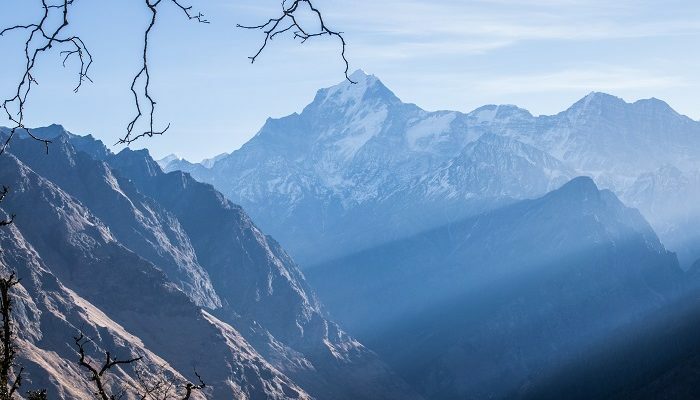 People around the world trek here to get a taste of the Himalayas. Colourful camps at the the base of grand mountains. 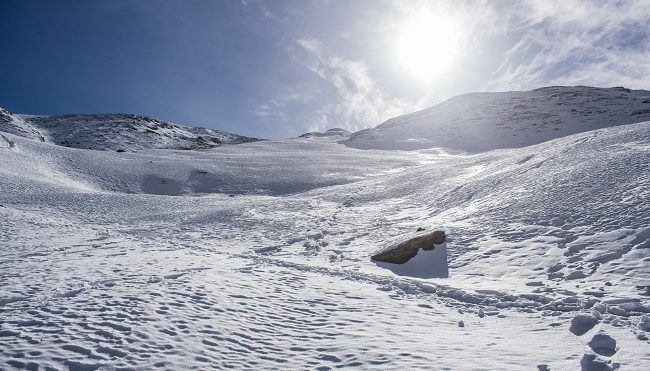 The second day begins with patches of snow on the way which gradually converts to a snowy wonderland. 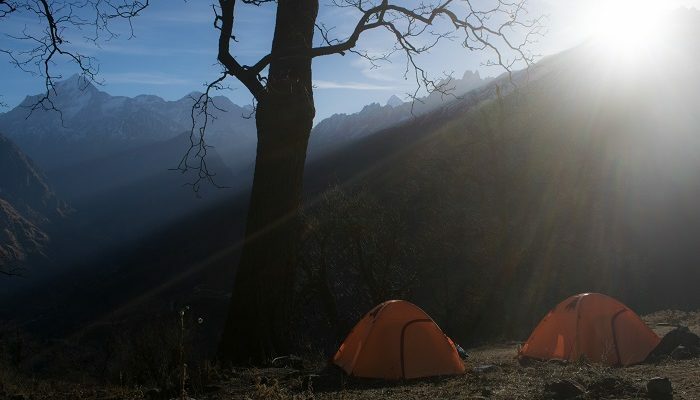 The 2.5 hour trek through dense forests takes you to the second campsite- Khullara. Words fall short to describe the sheer beauty of this place. 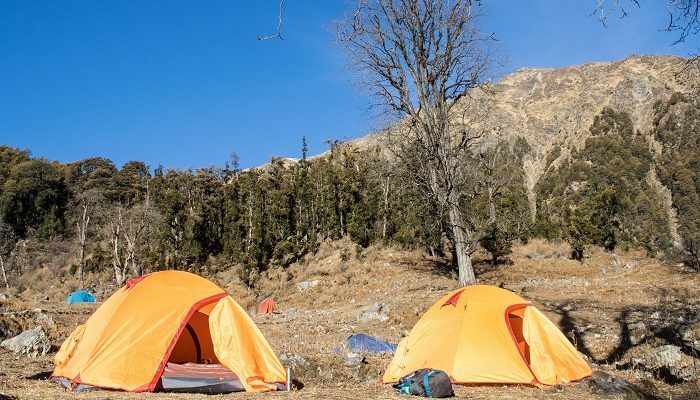 Clear skies clubbed with eye catching tents, grand mountains and snow all around makes this one of most beautiful campsites. On the way back from the pass. All that is left is a feeling of happiness, achievement and tremendous nothingness. 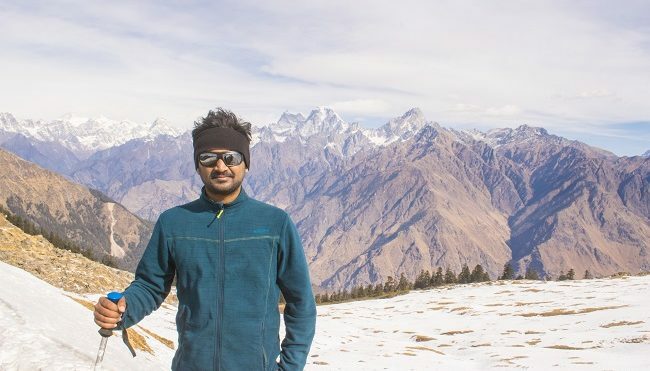 At a height of 12,516 feet, Kuari Pass is a trek which provides you 360 degrees view of some of the highest peaks of the Himalayas which include Nanda Devi, Hathi Ghoda and Dronagiri. 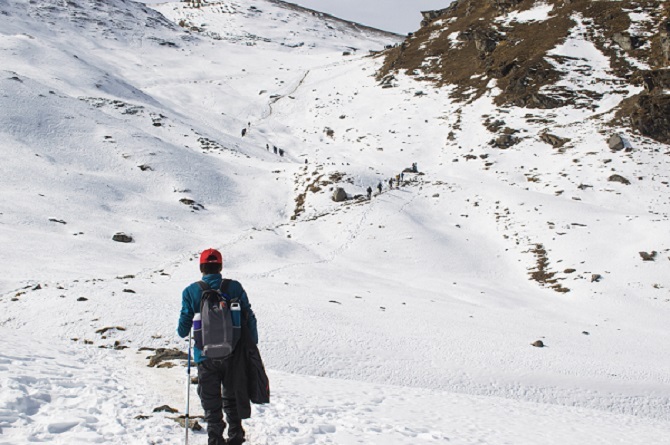 Though steep at intervals, the trek is an amazing walk on the snow trail and easily one of the best and most rewarding for the efforts put in. The scenes from the top are mesmerizing. There is white beauty as far as your vision can go. 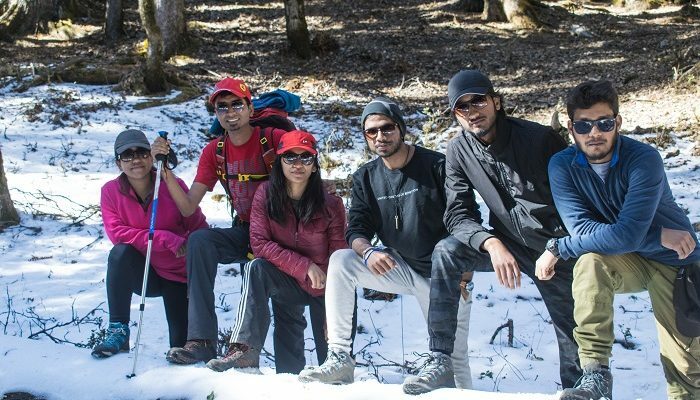 Some of us were clicking, few playing with snow while others simply chose to sit and soak in the charm. 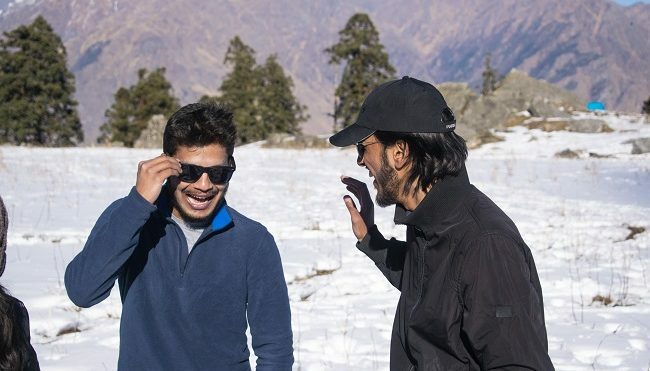 It took us 2 hours to the top, a couple there and return to Khullara again in what was the most eventful and exciting day. Day 4 was back to Dhak via Gulling. *Descending takes more on your knees than you think. Squats recommended. 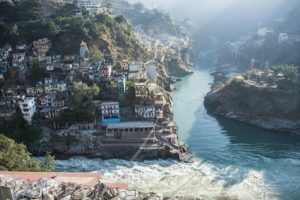 To stop at Devprayag on the way to Joshimath is a must to witness the Sangam. 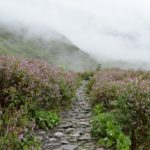 Days required– Minimum of 6 (including 2 days stay at Joshimath). 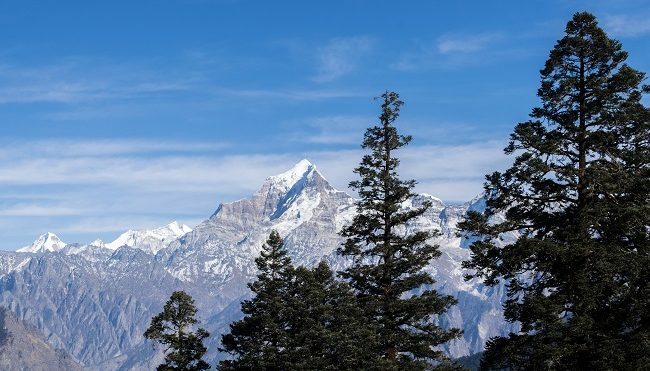 Delhi to Joshimath would take around 14-15 hours. 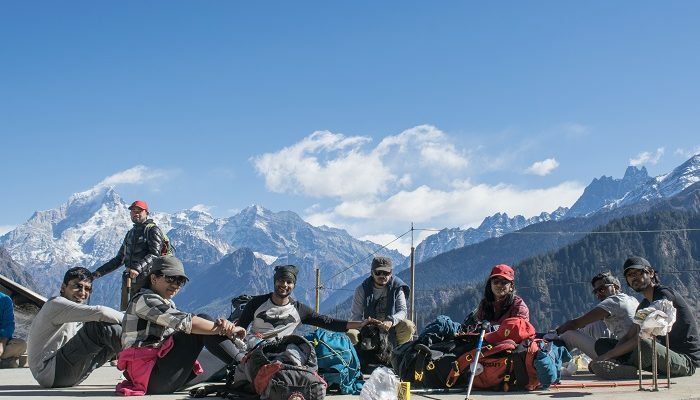 How – Via various trekking groups or hiring a team of guides. The latter too can be searched online. 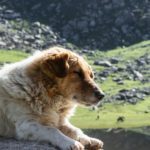 We hired a guide I knew personally. 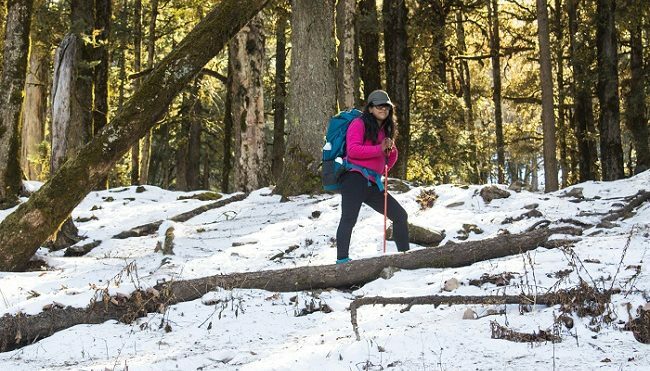 Trekking gear – Visit to a decathlon store is a must. 😛 Honestly speaking, good water proof shoes are very important. The rest can be done with. 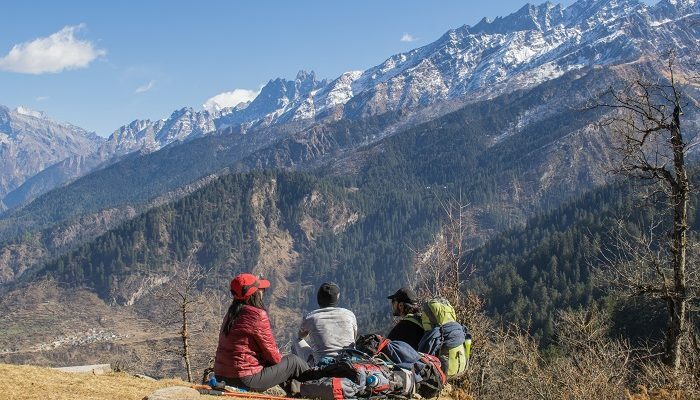 Solo Travellers – Join any treking group. 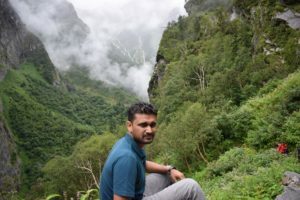 It may be difficult to do it totally alone since the trail is through dense forests and hiring a guide may ease the way. Not saying it is impossible though, but then solo trek here should be preferred in non-snow months. Best Time– This can be done throughout the year. Avoid monsoon months. For snow, best time would be from mid December to March. 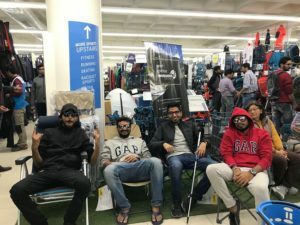 At Decathlon- A Pre Trekking thing. To trek is to be with yourself. That’s what it is to me. What does it mean to you ? 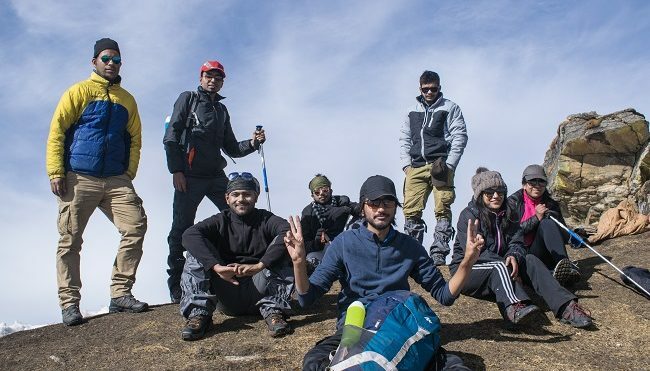 Your description of the trek was awesome. It was pleasant to read with no fabrication. It had indepth details. Hope to be a part of this entourage some day. Amritsar – Historic city of gold ! 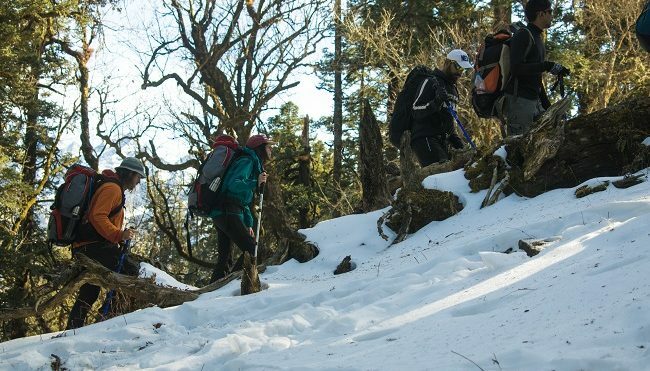 Weekend treks near Delhi for beginners ! 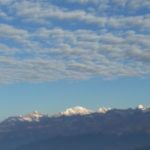 Trekking solo to Deorital-Chopta-Chandrashila summit!